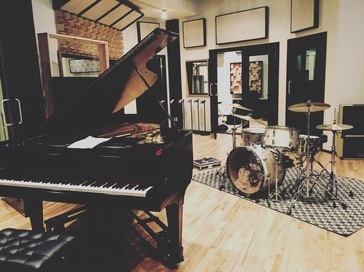 Located in Sunset Park, Brooklyn, Big Orange Sheep recording studios boasts a large live room, four isolation rooms, a spacious control room and a comfortable lounge. The 2000 square foot space was designed to be flexible and to also inspire creativity so that we can capture great performances. BOS is also home to an incredible Steinway B, a B-3 Organ, and an impressive collection of amps, drums and other instruments. With a long list of microphones, mic pre’s, processing and effects, Big Orange Sheep is perfect for most any recording project.